It is inevitable that any woodworking shop will collects offcuts of wood and plywood. With my emotions attached to ideas of waste, I could not just throw away materials which can have possible futures. There are usually donation box in this kind situation, but with a lack of space and how it can easily become an over grown pile of free stuff, I decided on making something out of them. 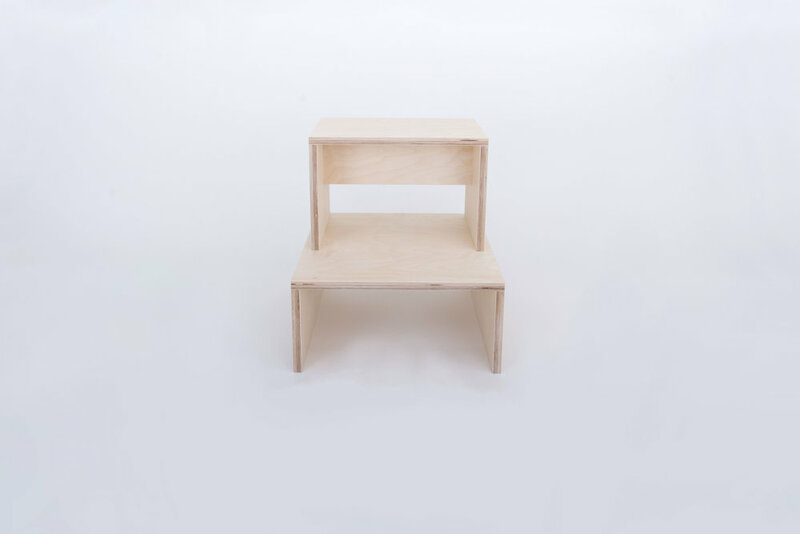 ot step stool probably looks too simple and has not much specialness that many of us can detect, but it is a reminder for me to see one of the most basic uses of sheet material and construction to create something useful. Also, it is a personal reminder of the entropy we exist in, and how hard it is to be and design something simple.